Glitz, glamour, and sleaze is what people often remember of the cabaret girls. But Adeline paints a more nuanced picture. 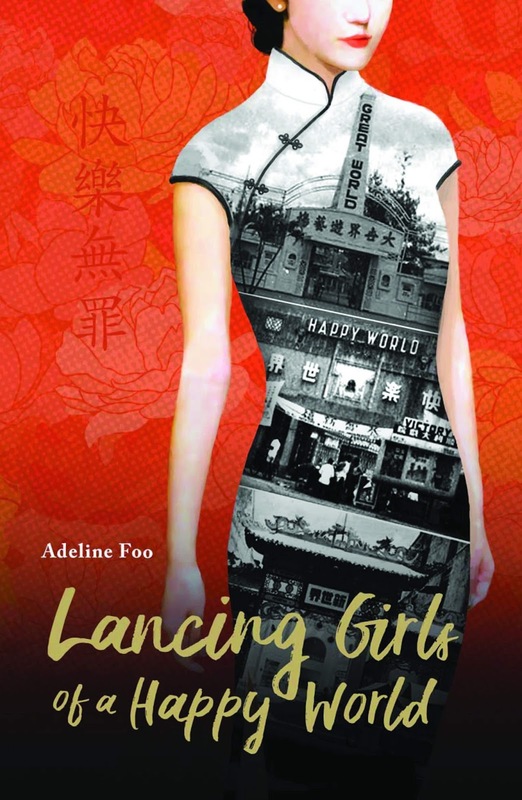 She sets out to uncover the lives of the lancing girls, and to show, how, even with few dreams and hopes to strive for, they lived with heart and courage in the face of society's disapproving eye. The music of the dance halls may have faded away, but this book carries the feel of dance steps, connecting readers with a forgotten past that was inspired by faith, hope and charity. Adeline is well known as an author of fiction for young readers. Lancing Girls of a Happy World is her first non-fiction book for adults. Here, she discusses traits that made cabaret girls professionals exemplary to their contemporaries. From the 1920s to 1960s, local amusement parks grew from wooden shacks and makeshift kiosks to sophisticated entertainment playgrounds offering happy mixes of cabaret shows, boxing matches, Chinese opera and Western-style circus. During the 1950s, these parks would attract crowds of up to 50,000 people on a typical weekend. Armed with a dizzying repertoire of steps, from the Malay ronggeng to the Western foxtrot, which they studied by watching Hollywood movies, cabaret girls were the highlight of the glitzy world of entertainment. Dancing was their life. A popular dancer could earn $1,000 a month, four times what a female senior clerk could earn. If money was something that a woman needed urgently, cabaret dancing provided a quick fix. Life in the amusement parks went on almost as normal during the Japanese Occupation. Japanese customers were received. If the Japanese visited the cabaret, it would be for two reasons, to look for British spies and to “bring beautiful girls out”. There was a popular cabaret girl who had contracted a venereal disease and could not get treatment. Many Japanese men wanted her, but they didn’t know about her condition. She saw men of various ranks from the air force to the army. Two weeks later, Japanese soldiers came to the cabaret looking for her, but she had disappeared. It was said that all the Japanese men who brought her out caught the disease and were incapacitated for a long time. Cabaret girls saw themselves as empowered modern women. They consolidated their position in society and organised themselves. The Singapore Cabaret Girls’ Association was formed in 1939 with a membership of 180. In 1949, membership grew to 600. The Association gave members a united voice in fighting for the right to be treated with respect securing benefits like tax deductions and a clubhouse for members. Despite difficult circumstances, and even with few dreams to strive for, the cabaret girls lived with much heart. In 1953, the Association made a contribution of $13,000 to the Nanyang University building fund. After the war, two cabaret girls started the Happy School that took impoverished children off the streets of the red light district, Geylang. It initially ran as a free charity school for students with an enrolment of 90 children. By 1959, the school operated as a typical Chinese medium school with an enrolment of 600 students. Wearing their figure-hugging cheongsams with daring side slits, cabaret girls were a sight to behold with their makeup and coiffured hair-dos. They depicted a strong feminine expression and left an unforgettable presence behind. The cabaret world was thus eventually enshrined in the memories of Singaporeans through books, plays and musicals, so they are remembered even today. The cabaret girls of Singapore’s yesteryear are an important component of the nation’s unique history and identity. The cabaret was a product of its time, inking an indelible mark in history. Details: Lancing Girls of a Happy World is published by Ethos Books, in paperback, priced in local currencies.